I want to welcome you to the new GPUOpen Compute site where we are going to explore GPU computing solutions that empower Science, Engineering, and Artistic Creativity. We will be focusing on solutions that simplify your ability to focus on your ideas, solve your problems and examine solutions, unencumbered by technology. To solve these new challenges, we also realize that your problems are growing beyond a single GPU, a GPU Compute Node or even a Rack of GPU Compute Nodes. To better match your needs we have rebuilt our core foundation on how you access our GPU resources starting from the driver, runtime, compilers and even the programming languages to better address your needs for a hyper-scalable system. We have also built out the main math libraries: Blas, FFT, Sparse, RNG to match the new programming languages. 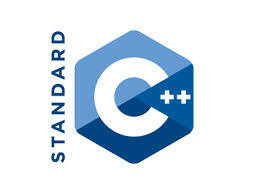 We are also bringing forward HPC class C++ programming frameworks like Charm++ and Kokkos. Today we are doing a reveal of the some of the application we have been accelerating for Machine Learning and Molecular Dynamics market. Soon, here in the GPUOpen portal, we will roll out articles on how we have been optimizing these applications/frameworks like Caffe, Torch 7, NAMD and many others. Finally, HIP* high-performance C++ GPU Runtime that also give you application portability to other vendors GPU’s. HCC compiler HIP API combined with the HIPIFY** automation tool will simplify your development experience when coming from the development of CUDA® application. Two weeks later, we introduced the GPUOpen initiative with a focus on openness and choice, went into more details about our Boltzmann Initiative, and announced the Lighting compiler initiative, a native GCN ISA compiler based on LLVM technologies. Today I am announcing, the Lightning Compiler Initiative outputs will be an essential component of the Boltzmann development stack. This compiler will initially support our Fiji hardware. The compiler is designed to support GCN ISA assembly and disassembly so you can address the critical section of your application or library. We will be talking more about the Lightning Compiler Initiative later this year. One of the fundamental aspects of our Boltzmann initiative is moving our solution to an entirely open-source based computing foundation. Today, we are building on this pledge with the launch of the GPUOpen website, and will be releasing new open-source compiler technologies, libraries, applications and application frameworks. Moving forward, the GPUOpen website and blogs, and the GPUOpen Profesional Compute GitHub will be the place you go to get the GPU computing solution for Radeon and FirePro hardware. The Radeon Technology Group remains committed to standards-based languages. In the last two years, we put a strong emphasis on open international industry standards, like ISO Standards for C and C++, which are the foundational specifications for HCC. HCC also supports the Open MP language standard that is a critical language a foundation for the HPC market. 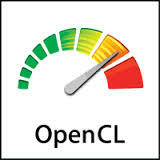 We also plan to continue to invest in the development of the Khronos Group’s OpenCL™ in our products and in building open source math libraries to support it. Additionally, we are actively working on Vulkan, and key technologies to better support this new and exciting platform. I look forward to talking to you more about where we are going in 2016 with Radeon Compute, and about, more importantly, talking more about solutions to your GPU computing problems. This is AMAZING!!!! Are you aware of any FOSS Distributed computing frameworks/engines? I am trying to flesh out an idea, but have not had any luck. https://github.com/boostorg/compute is a framework you might want to look at – built on top of OpenCL and going soon into boost officially.